Visual categorization is important to manage large collections of digital images and video, where textual meta-data is often incomplete or simply unavailable. The bag-of-words model has become the most powerful method for visual categorization of images and video. Despite its high accuracy, a severe drawback of this model is its high computational cost. As the trend to increase computational power in newer CPU and GPU architectures is to increase their level of parallelism, exploiting this parallelism becomes an important direction to handle the computational cost of the bag-of-words approach. 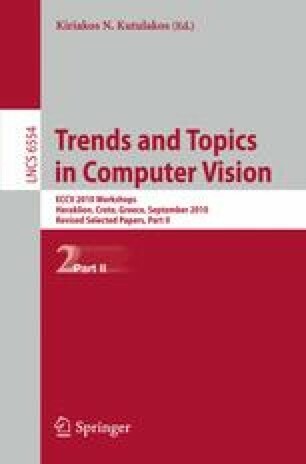 In this paper, we analyze the bag-of-words model for visual categorization in terms of computational cost and identify two major bottlenecks: the quantization step and the classification step. We address these two bottlenecks by proposing two efficient algorithms for quantization and classification by exploiting the GPU hardware and the CUDA parallel programming model. The algorithms are designed to keep categorization accuracy intact and give the same numerical results. In the experiments on large scale datasets it is shown that, by using a parallel implementation on the GPU, quantization is 28 times faster and classification is 35 faster than a single-threaded CPU version, while giving the exact same numerical results. The GPU accelerations are applicable to both the learning phase and the testing phase of visual categorization systems. For software visit http://www.colordescriptors.com/ .